At a recent House hearing on the Iran nuclear deal, the 30th since the accord was struck, Admiral William Fallon offered an important perspective that has been largely missing from much of the recent debate. Admiral Fallon’s testimony stood apart not only due to its support of the deal—Congress has largely only invited opponents of the agreement to testify—but also because his optimism about the opportunities afforded by the JCPOA to engage Iran beyond the nuclear issue. At a time when even some supporters of the agreement have couched their endorsement behind new calls for countering Iran militarily or with more sanctions, Fallon’s comments are a welcome movement towards doubling down on diplomacy. Although the JCPOA was a result of diplomacy that stemmed from necessity on both negotiating sides, it served and will hopefully continue to serve as a reminder to each side that cooperation is possible. As noted in one of Trita Parsi’s recent op-ed pieces, the conditions for strong cooperation are present. “Iranian society is overwhelmingly moderate, educated and forward-looking; despite the existence of a small but highly vocal element of religious radicals.” Furthermore, the coming reintegration of Iran into the global economy will increase the incentives for economic cooperation between Iran and the U.S. although for now the U.S. maintains a near total embargo. To achieve and sustain cooperation, U.S. and Iran must seek a greater sense of mutual understanding, while setting reasonable aspirations for cooperation. For example, as noted by Professor Shireen T. Hunter, “the Middle East crisis cannot be resolved by a single country.” Upon further cooperation with Iran, the U.S. must understand that cooperation contributes to stability in the region but does not outright solve it. Moreover, to maintain cooperation, the U.S. must seek to understand Iran’s regional and geopolitical interests and concerns. As each country traded concessions in the JCPOA, they should mimic such action to pursue mutually beneficial solutions to the significant challenges that remain between the two countries, as well as within the broader region. 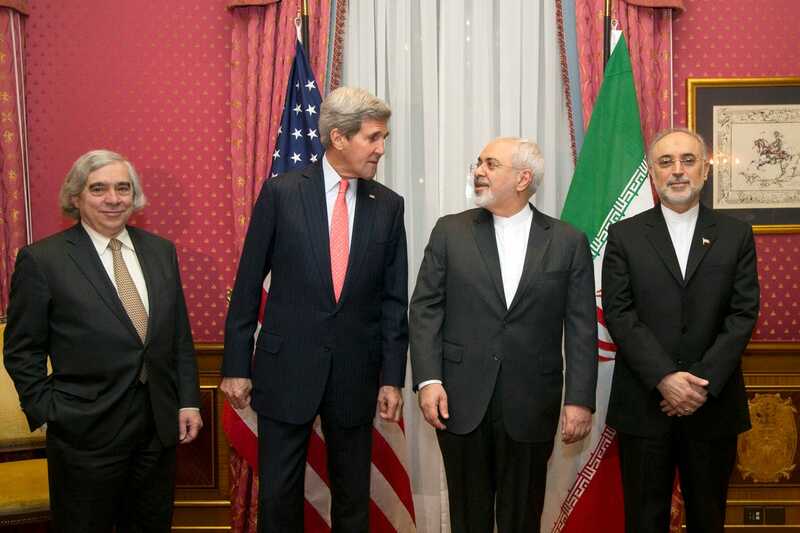 Unfortunately, most of the discussion of what comes after the nuclear has focused on how to contain and sanction Iran. Senator Ben Cardin (D-MD) even has legislation in the works to combat the success of the JCPOA. The outline for his legislation, contained in a Washington Post op-ed, puts forth veiled threats and measures designed to kill the deal and return to a posture of containment towards Iran. In regards to veiled threats, he and others argue for further arming of Israel and putting a military option on the table. One of the many ineffective policies towards Iran during the George W. Bush administration was to keep all military options on the table and use military threats to garner leverage. Returning to this policy would put the U.S. back on a path of escalation towards conflict rather than a path towards diplomatic solutions. Rather than going back to the old policy tool kit, which hasn’t yielded U.S. foreign policy objectives, we should use what has worked: diplomatic engagement. In turn, building upon the JCPOA offers a route to address further bilateral issues such as Iran’s conventional weapons program, ballistic missile program, and terrorism support. Even Iran’s Supreme Leader has alluded to an openness for further engagement between Iran and the U.S. outside of the nuclear issue. “If the counterpart [the United States] stops its bad behavior, one could expand this experience to other issues,” he said of the diplomatic process, following the announcement of the framework nuclear agreement in April. However, the potential for further progress on this front seems to have deteriorated amidst the rhetorical back and forth that officials in Iran and the U.S. have engaged in as they have sought to sell the deal to their domestic audiences. Khamenei has since changed his public stance and announced that Iran will not hold further talks with the US outside of the nuclear issue. This is problematic if we want to see the deal as a gateway to a brighter future. Although implementation of the JCPOA will be a difficult process due to the complexity of the 159-page agreement and of the political environment, the sides should utilize the milestone of the JCPOA to capitalize on the positive momentum for Iran-US engagement and avoid a return to provocation.